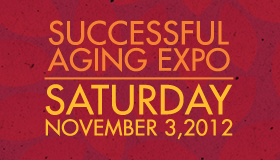 “Thanks for visiting us at the Successful Aging Expo!” Whether or not you attended our seminar, you came to the right place for all things Reverse Mortgage. Please sign up for our email newsletter, it is the best way to keep in touch. We promise not to spam you to death, but will keep you informed on changes in the market and the HECM Reverse Mortgages. We’ll also let you know about future seminars.